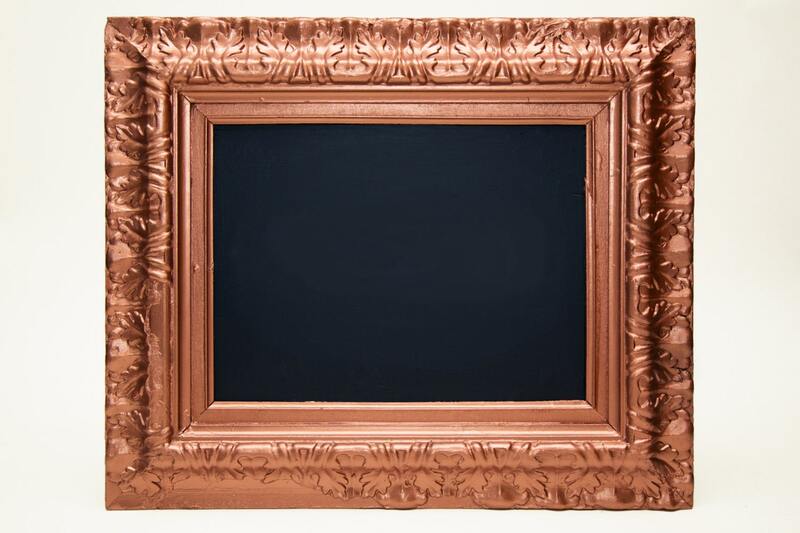 This is a large and beautiful chalkboard that would make a great displayed in any kitchen, living room, bedroom or bathroom. It would also make a great menu board at a restaurant or cafe. These are solid wood frames with stucco details that we painted with a metallic finish. It is available in gold, silver or copper colour. The frames can be hung vertically or horizontally. The frames measure 25 inches by 21.5 inches. 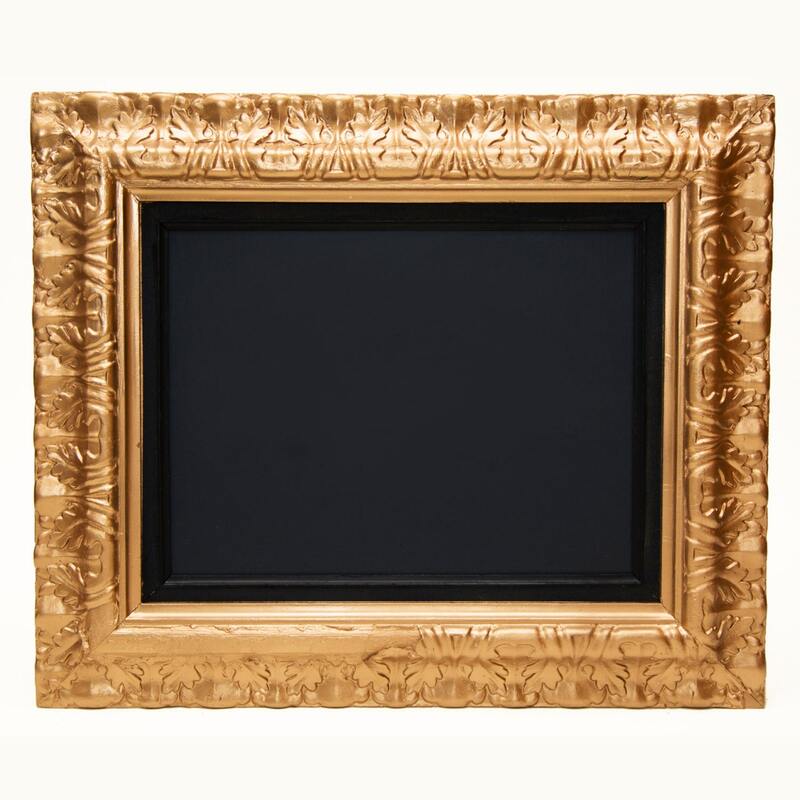 The chalkboard measures 11.5 inches by 15.5 inches. The frames are in good condition. Some of the stucco has chipped off on the frames and has been painted over (see photos). Adds a rustic feel.